I woke up today excited that it's a Friday and I'm attending an exciting event tonight. As I went online, I was surprised to find out people on twitter and plurk scampering for confirmation whether Michael Jackson was dead or not. I was hoping it was just a rumor and wasn't true. However, minutes after, CNN showed breaking news of Michael Jackson and announced that his death has been confirmed. It's so sad. He was my idol both for his music and dancing. I grew up to his music. I would watch his dance moves in awe. I would attempt to try out his dance moves. I would listen to his songs endlessly. When Michael toured and visited the Philippines, I was determined to watch his concert. I even brought a sequins-bedazzled glove to the concert as tribute and to show my support. As a musical arranger, he was also an influence to my compositions and arrangements. He made me appreciate Pop so much more. His beats, whether as simple as Billie Jean's catchy baseline to the Dangerous' complex multi-track arrangement was all inspiring. 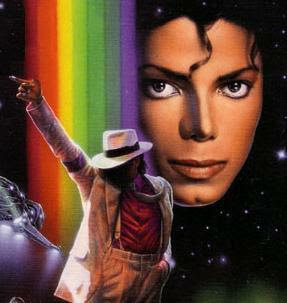 When youtube suddenly became a hit for video on demand, the first videos I watched were all Michael Jackson videos. I'd watch performances of other fans do the moonwalk. His songs are permanently on my mp3 player and mobile. It is such a tragic loss and sad day for the entertainment world today. A great dancer, a talented musician, a legendary performer... a total entertainer. Rest in Peace Michael. Thank you for the inspiration. Thank you for the memories. I will always remember you. My eyes are still quite puffy from crying this morning. Buti di na-obvious sa event kanina. @sexynomad: yeah. ang bata pa niya at 50. and he even had 50 major concerts lined up (what a coincidence). I guess this is the same feeling that our lolos and lolas had when Elvis died. I hope future generations will get to know MJ from his music and his works, kahit sa internet, radio or tv, to know how great an artist he is.